Courts • Injuries to victim, damage to car were not consistent with the man's story. 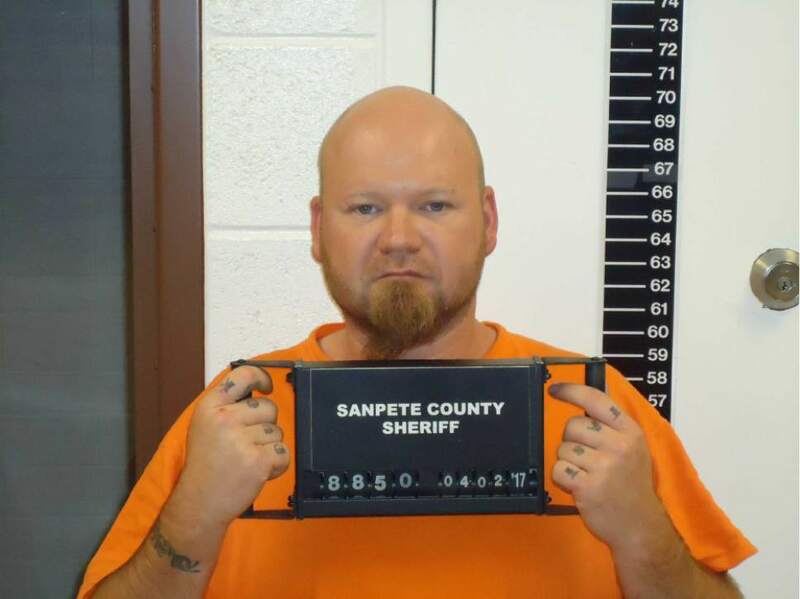 A Sanpete County man has been charged with murder for allegedly killing his fiancee and trying to make it appear she died from injuries suffered in a car crash. Anthony Jeffery Christensen, 35, was charged Tuesday in 6th District Court with first-degree felony murder in the March 31 death of 34-year-old Kammy Mae Edmunds. Additionally, Christensen faces charges of obstruction of justice, a second-degree felony, and abuse or desecration of a human body, a third-degree felony. An initial court appearance for Christensen is set for Wednesday in Manti. Court documents state that on March 31, a 911 call from Christensen brought officers to his Mount Pleasant home, near 300 North and 100 East. Christensen was at the house when police arrived, and he told them that Edmunds was in the bathroom. Police found her body "very bruised, bloody and deceased," documents say. Christensen told police he, Edmunds and another woman had been drinking alcohol at the house the night before, when there was an argument because the other woman wanted to leave and he didn&apos;t want them driving drunk. The man reported that he was "very drunk" and went to bed when the two women went outside to smoke, documents say. During the night, Christensen woke up and saw the car was gone, he told police. At about 7 a.m., Christensen said that he thought he dreamed that Edmunds "told him that she was in a car wreck and her face was smashed," documents say. "Christensen dismissed the moment to a dream and rolled back over to sleep more." He told police that when he woke up that afternoon, he saw that Edmunds was not in bed and went to find her. He forced open a bathroom door, he said, and found his fiancee badly injured in the bathroom. He told police he called 911, documents say, and went back to the bathroom to find Edmunds without a pulse. But the state medical examiner&apos;s office later reported to police that Edmunds&apos; wounds were not consistent with being in a car crash  she died from "multiple blunt force trauma" injuries to her head. When police found the car that Christensen said his fiancee had been driving in a dry creek bed east of Mount Pleasant, near Power Plant Park, the document says, the damage to the vehicle was not "consistent with damage that would result in the death of a person," the police officer wrote. Blood was found in the car on the lower portion of a door panel  but not high enough where a person&apos;s head would be. At the home, investigators found blood, muddy shoe prints belonging to Christensen and other evidence suggesting he had dragged a person through the living room to the bathroom, according to the documents. They also found that the carpet at the home appeared to have been cleaned and was still wet when investigators arrived. Court documents note that Christensen&apos;s cellphone pinged in an area east of Mount Pleasant at about 7 a.m., and near Power Plant Park at about 10:15 a.m.  times that Christensen said he had been sleeping at home. Edmunds&apos; mother told police that she noticed her daughter with "multiple bruises and black eyes" since she had been dating Christensen. Christensen has an "extensive" criminal history and "multiple violent convictions" in Wyoming, including counts of child abuse with physical injury, strangulation of a household member and battery of a household member, documents say. He also is "a fugitive from justice" in Nevada. Christensen is being held at the Sanpete County jail in lieu of $500,000 cash-only bail.